Why Are So Many People Using These Internet Search Words to Find Help? Heart health expert Dr. Carolyn Dean talks about how you can improve your heart health, avoid heart attack and live a healthier life. Coronary heart disease (CHD) causes about 1 out of every 5 deaths in the United States and in 2009, according to the American Heart Association, an estimated 785,000 Americans will have a new coronary attack, and about 470,000 will have a recurrent attack. About every 25 seconds, an American will have a coronary event, and about every minute someone will die from one. Each year, about 795,000 people experience a new or recurrent stroke. About 610,000 of these are first attacks, and 185,000 are recurrent attacks. On average, every 40 seconds, someone in the United States has a stroke. Every 33 seconds someone in the Untied States dies of cardiovascular disease; that’s approaching 1 million deaths annually. It is not surprising that approximately 95,000 people per month search the internet by keying in “Attack Symptoms Heart” to find answers. Americans are prone to heart disease and heart attack because the present American diet is heavily biased toward processed flour, sugar and unhealthy fats which leads to unhealthy eating and a deficiency in the mineral – magnesium, which is vital to having a healthy heart. Between our mineral-depleted diet and the depletion of minerals from our soils and the fact that most Americans do not get the RDA for magnesium, over 75% of Americans are magnesium deficient. *Arrhythmias (irregular heart rhythms) and tachycardia (too rapid heartbeats) due to abnormal shifts of the mineral potassium into and out of heart cells. *Abnormal electrical activity in the heart, shown by electrocardiagram (EKG or ECG) results. *Arteriosclerosis (stiffening and inflexibility of the blood vessels). This can develop even in children. *Constriction of the arteries and spasms in blood vessels. *Angina (chest pain due to heart disease). *Myocardial infarction (damage to heart cells – better known as a heart attack) due to ischemic heart disease (an insufficient flow of oxygenated blood to the heart) that is associated with too much calcium and not enough magnesium in heart cells. *Sudden death due to arrhythmia or infarction. *The formation of blood clots within blood vessels, which can lead to heart attack or stroke. *Heart valve disorders such as mitral valve prolapse. 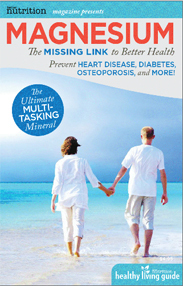 There are 9 things you need to know about magnesium nutrition and heart disease. 1. Heart Attacks: The heart is a very large muscle. Calcium causes muscles to contract and magnesium causes them to relax. If the body is deficient in magnesium, the heart can go into spasm causing a fatal heart attack; beat erratically causing arrhythmia; or beat too slowly (bradycardia) or too quickly (tachycardia). 2. Magnesium prevents blood clot formation and muscle spasms of the heart blood vessels, which can lead to heart attack. One major cause of angina is spasming of the heart’s coronary arteries that are lined with smooth muscles that react to a deficiency of magnesium. 3. Magnesium prevents muscle spasms of the peripheral blood vessels, which can lead to high blood pressure, another risk factor of heart disease. 4. Magnesium prevents calcium buildup in cholesterol plaque in arteries, which leads to clogged arteries. 5. Your body requires magnesium to maintain healthy elastin, which provides essential elasticity in your arteries. Loss of elasticity is a risk factor for heart disease. Loss of elasticity causes inflammation of heart blood vessels, which interferes with blood flow and leads to heart disease. 6. Magnesium deficiency symptoms include leg cramps, eye twitching, fatigue, constipation, insomnia, anxiety, racing heart, and chest pain. 7. High blood pressure can cause stroke and heart attack. Tension in the smooth muscle of blood vessels throughout the body due to magnesium deficiency is a major cause of high blood pressure. 8. Magnesium is a natural calcium channel blocker allowing the proper amounts of calcium in balance with magnesium for heart health. Magnesium is an extremely safe supplement; its main side effect of loose bowel movements is actually a benefit to 60% of the population that is constipated. It is most commonly taken as a highly absorbable powdered form of magnesium citrate with hot water. Clinical studies show that treatment with magnesium, taken at the right time and in the right amount, can lessen heart disease risk factors and even save lives. Adequate magnesium nutrition may lessen the need for heroic surgeries and may lessen the need for or even replace high cost medications with their adverse side effects.